Current Season Ticket Holders click here to renew your tickets or call or text the box office at 315-790-9070. A waiting list is now being formed for 2018-19 season tickets! Don't miss your chance at getting the hottest ticket in town. Call or text 315-790-9070, email [email protected], or fill out the form at the bottom of the page for more information or to reserve your spot. Significant Savings Off Of Individual Game Ticket Prices! Invitation to exclusive events with Comets players and coaches. Exclusive access to two in-arena bars - The Horton Room & Kilfoil's Irish Pub. First priority for Calder Cup Playoff tickets. First priority for other events at Adirondack Bank Center. Your own dedicated Comets ticket representative. An opportunity to renew the same seats each season. 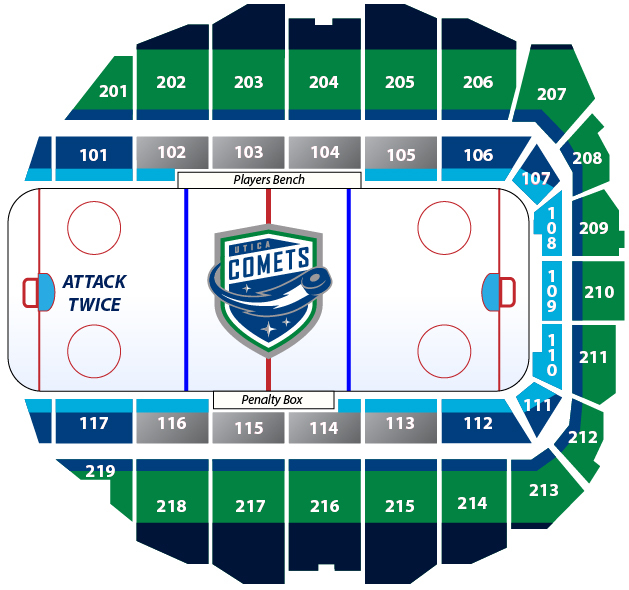 INTERESTED IN COMETS TICKETS? CALL OR TEXT 315-790-9070 OR FILL OUT THE FORM BELOW FOR MORE INFORMATION.